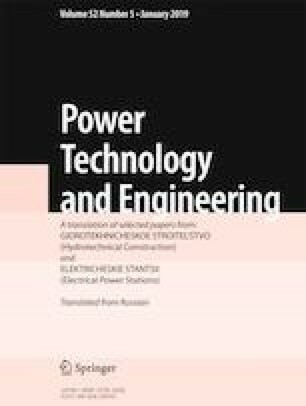 The article describes and gives the results of laboratory hydraulic investigations to determine the kinematic characteristics of a flow interacting with flexible concrete protective coatings on the bottom of a watercourse. The laboratory equipment used in conducting the experiments is described. The schemes of the hydraulic tests and the results of measurements by two types of protective coatings differing in configuration of the blocks are given. The increase in the flow rate in the gaps between the blocks of the protective mats in the bottom region and decrease in the rate in the part of the flow above the protective coating are recorded. Translated from Gidrotekhnicheskoe Stroitel’stvo, No. 10, October 2018, pp. 6 – 10.